The right fax cover sheet can help your correspondence appear professional and orderly. Instead of scribbling a "to" and "from" message on the first page of your outgoing faxes, utilize a free customizable fax cover sheet. Download the free customizable, printable cover sheet below. Note that the LoveToKnow logo will not appear on the printed page. If you need help downloading the cover sheet, check out these helpful tips. If you want more options, consider cover page software. Starre Software will print your logo, check your spelling and store unlimited names and fax numbers for easy recall. 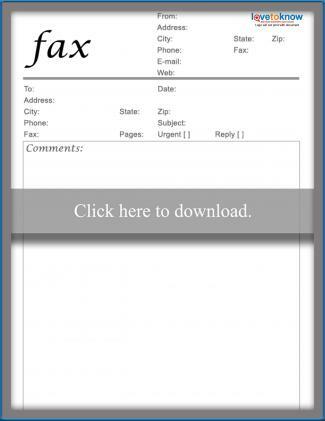 Fax For Office allows you to send and receive faxes from your PC. Edraw Max is vector-based and rich with options. 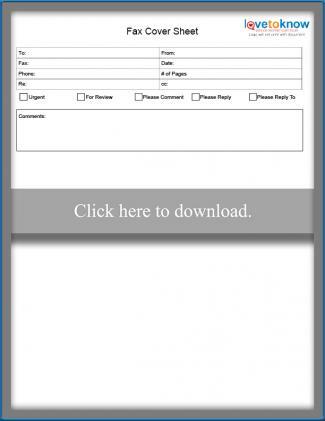 Black Ice provides a color cover page editor for color fax applications. Fax templates abound, and most of them are free. Microsoft offers several free easy to use templates, as do Google and others. Most companies want cover sheets to reflect their brand identity. If you don't want to spend the time uploading and formatting a logo and other information, simply print your cover sheet onto the company's letterhead. 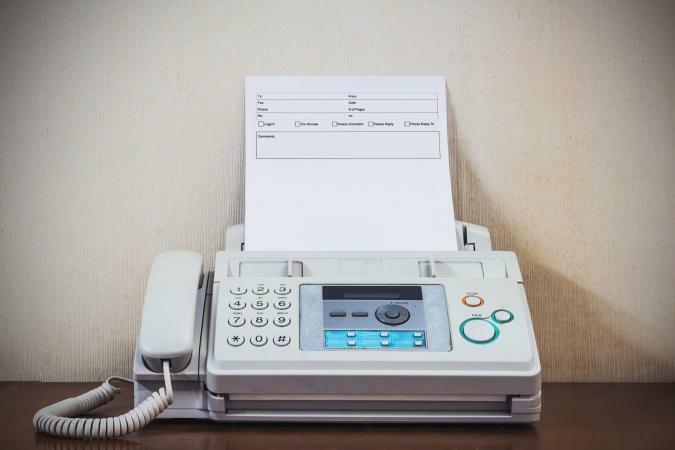 Faxing may be informal or casual, but it should never be unprofessional. A few simple nods to etiquette can keep you in good standing--and save precious time for your recipients. "The contents of this fax transmission belongs to the sender and may include proprietary information of Company ABC." When sending confidential or time sensitive material, call the recipient to let him know that the fax is on the way. Internet fax-to-email services can simplify the process of sending faxes. It creates a paperless faxing environment and allows you to fax from anywhere you have Internet access. This technology is sometimes hosted on remote servers and sometimes in the cloud, and it allows users to send and receive faxes through computers, tablets, and smartphones. Images are crisp and colorful, and users are no longer tethered to telephone cables. eFax plans start at $16.95 per month, plus a one time set-up fee of $10.00. The system allows users to append signatures, coordinates with Microsoft Outlook, and is available 24 hours per day, 7 days per week. Nextiva provides local fax numbers to its users. Plans start at $4.95 per month, and a free trial is available. The system will also automatically re-send faxes that don't go through the first time. Whether you are sending a traditional or an electronic fax, it may be helpful to think of the cover as the envelope containing your message. It ties the pages together, provides delivery information, and tells the recipient who sent the fax.